Corner cutters have been around since before the concept of “marketing” existed. There’s no doubt, thousands of years ago that some sneaky neanderthal figured out how to jack someone else’s wooly mammoth pelt from a few tribes over, then triumphantly claim it as his own. Yet, it’s only a matter of time before the tribe wises up and banishment, or worse, occurs. 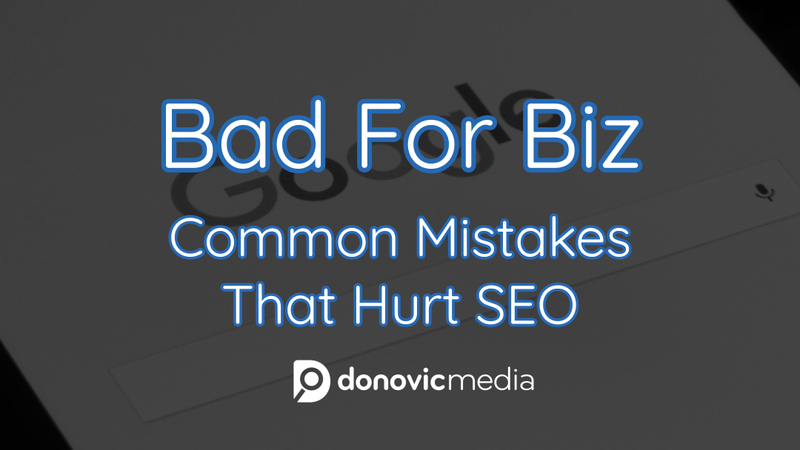 Luckily, the world of SEO is less filled with spears and pelts (although there is plenty of grunting), but you can still suffer mammoth-sized, brand-killing problems when you try and cut the wrong corners. In order to keep your reputation intact and ensure your brand evolves in the right direction, watch out for these common mistakes. We were going to use an example of what keyword stuffing looks like, but we don’t want to hurt our own SEO. Although keyword analysis is an essential part of any content marketing, overdoing immediately takes the authenticity out of your content. Search engines are consistently wising up to this practice as well. Keep the actual “content” of your words on the forefront. Instead of using content as an obvious SEO delivery system, don’t use targeted keywords more than two or three times for every 500 words. Remember: content should be the end and the means. 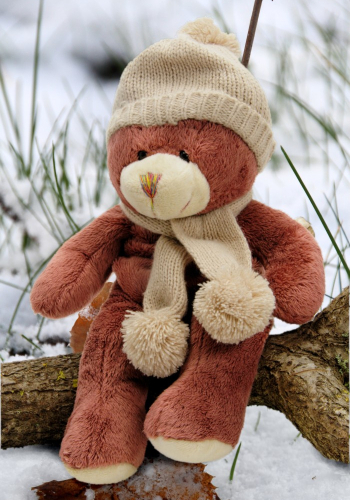 Think of keywords like the stuffing in a teddy bear: If there’s not enough, it looks deflated, if there’s too much, it looks cramped and bloated, but if there’s just the right amount – you’re golden. For those who want to get around stuffing keywords in their content, there’s always the “image alt tags, right?” You can stuff all the keyword you want and hide them neatly behind images, plus, unlike visible keyword stuffing, there aren’t terrible SEO penalties or repercussions. However, it’s still a shady practice, causes tremendous annoyance for visually impaired browsers, and it won’t have much positive effect on your SEO ranking to boot. “You scratch my back, I’ll scratch yours” is a trope that probably is as old as cave men, and it seems to make sense, right? You meet a fellow entrepreneur who is looking to boost their content SEO, and decide “hey, let’s help each other out.” Unfortunately, Google knows all and sees all, and the simultaneous appearance of reciprocal links won’t bode well for your SEO. It won’t hurt much, but it certainly won’t provide the boost that you’re looking for. Okay, there are probably many worse things one can do online, however, in the world of content marketing, this stealing and sabotage rolled together. Article spinning is basically taking a preexisting article that’s relevant to your brand, copy/pasting it and changing around the words just barely enough so you don’t get penalized for plagiarizing. It’s one thing to use delightfully crafted, info-rich content as a source for new, original content, taking someone else’s exact concept and claiming it as your own happens so often there aren’t even accurate statistics to reflect it. Article spinning is playing with fire that could burn your SEO presence to the ground if you’re called out. For lasting, sustainable growth, creating and/or investing in original copy is the only way to avoid the landmines of black-hat, corner-cutting tactics.